It’s 5:35am in the morning, it is dark, but this is just a construct. Because it is 8:35am in Chicago and “light” is from around 11am to 1am, a twilight I now call day, it really makes no difference. We arrived at noon yesterday and this gave us a fantastic opportunity to become aquatinted with our temporary home and to understand a bit more about the community we are working in and the environment is which they live. Honestly, I was bracing myself for it to be much darker that it was! The twilight gives you a very nice pre-sunrise light, plenty to see a lot of detail. There is a constant layer of blowing snow (which plays havoc with ARM instrumentation) which made flash photography very challenging. After checking into our hotel (aptly named Top of The World) and grabbing lunch we kitted up and explored. Utqiagvik (Barrow) sits on Arctic tundra, too cold for trees to survive hear. The tundra has a layer of permafrost, a layer of soil that does not melt over the summer. So buildings are built on short stilts. I still need to get my head around Arctic meteorology (one reason why ARM is here: it is hard!) but we are getting a mix of light snow and blowing snow from some thin liquid layer clouds. 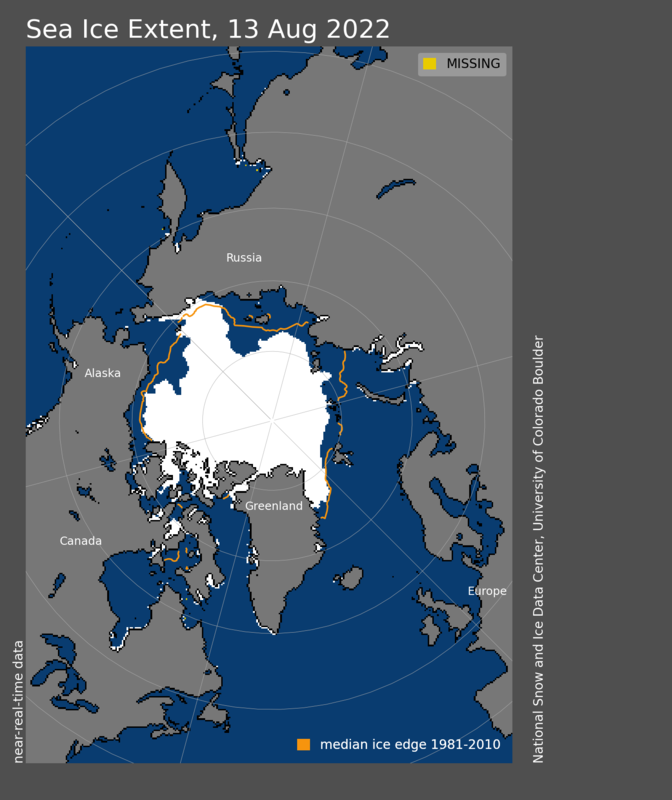 Fascinating given the Beaufort Sea is completely frozen over. Sam And Lee’s for homestyle Chinese. We walked to the local store and did the very touristy thing of looking at the prices of produce. Things are expensive as everything is flown in. A nice aspect of Utqiagvik is the food, plenty of options. We caught a cab to Sammy and Lee’s for some Chinese food. There were pictures of the family all around the place. Very homely, you can see there is a sense of community in this, the northernmost outpost of the United States of America. Sea to Frozen Sea! We made it! Thanks to the work of ground crews at O’Hare we managed to get out only a little late from Chicago. A smooth flight saw the team (Myself, Meridith Bruozas and John Domyancich) in Denver where we connected for the 5 and a half hour to Anchorage. Lots of interesting folks on the flight, from ice road truckers to many involved in the energy industry. Ice fog in Anchorage saw some amazing hoar frosted trees. Stunning approach over the bay (assumedly the Anchorage in Anchorage) with circular sea ice and amazing mountains. Trees in Anchorage were all white due to a freezing fog. At the recommendation of hotel staff we headed to a local spot. Folks in Alaska are very friendly with a comforting casualness. Like the midwest turned up to 11. We overnighted in Anchorage as our flight was not until the next morning. A little about the team, I am acting as a domain expert on a curriculum development team. John and Meridith are the education geniuses from Educational Programs and Outreach. Meridith is the manager of the group (~12 folks) and John is the Learning Center Lead. An area John and Meridith are established experts in is developing education research around computational thinking. This is not computer science, more how students can be taught to solve problems algorithmically. This blog will cover our project, Precipitating Change in more detail later. Our flight from Anchorage to Utqiagvik is part of a “mail run” a multi-hop trip. We are the second “hop” after a stop at Prudhoe Bay. Flying into Deadhorse airport was like landing on a alien planet. Prudhoe is home to the largest oil field in the USA. It looks like a outpost on Hoth! At Deadhorse we let some new workers off and a crew rotating out came on board for the loop back to Anchorage via Barrow and Fairbanks. It was a quick, less than one hour to fly west by northwest (another 1.2 degrees north) to Utqiagvik. We landed in a thin mist. Full kudos to our pilots, I have no idea how they tell the white of the sky from the white of the cold hard ground. The unique deplane at Utqiagvik airport. With a quick taxi the plane came to a stop just outside a small terminal. And with that we walked out into the Great White. Many of the passengers disembarked here, and it is clear this flight has a very high checked luggage ratio. With so much being flown in produce is very expensive in Utqiagvik so the locals returning from trips had many totes full of goods. So we are here! Now begins the process of learning and learning about learning at the top of the world. Remarkably we seem to be making it out of O’Hare. 4 inches measured at the official Clarendon Hills site (a stick in my yard) but United ground crews are working hard to get our plane boarded.. A 1:45 layover in Denver has me hoping our de-icing goes smooth.. Lots of ice on this plane… I don’t like traveling on weekends if I can avoid it, but if I did not I would only be in Utqiagvik for two days. Meridith has, very thoughtfully, procured a bag of fruit we are taking up. Like us, everything in Utqiagvik is flow in and out in the winter and most of the summer. So everything is expensive and fresh produce is rare. Its a shame I will not get any last sun before the northern journey. But here is hoping we get a few clearer nights and see some Aurora (bucket list for me!). Camera gear is all packed but I have no idea how it will work in the cold. Next dispatch from Alaska! Could the trip be nixed even before it begins? A low pressure system is surging out of the south drawing up warm moist air. And Chicago is right where that air and cold air from where I am going (the Arctic) are meeting! What’s worse is the low is making the winds turn North Easterly on Saturday. This means the wind will come of a nice body of water around 36F turning on a lake snow machine! Usually I would be egging this bad boy on, but I have a flight to Denver connecting to Anchorage leaving at 8:50am.. Will I even get to go North after all? Current North American Model forecasts a total of just on 10 inches between snowfall start and my flight’s departure time. I am hoping that I am on a 757-300 will mean: Its a bigger plane, less prone to weather delays AND a harder decision to cancel as a fill 757-300 is a lot harder to re-accommodate than, say, a small regional jet. (Probably not how this works, but its my blog and I am sticking to it). To make matters worse (or better for snow lovers who don’t need to catch a flight) there is an isothermal (same temperature) layer around 1.5km high at around -10ºc. This is the ideal temperature for transferring water out of the atmosphere (water vapor) into snowflakes (called a dendritic growth layer). This is weather geek speak for ITS GUNNA SNOW HARD. So now I place my hopes on a missed forecast, which is entirely possible as this all hinges on the model nailing the trajectory of the low pressure system. Hardly a given at this time of year. Small errors in low location changes the surface winds considerably and could nix this whole system. Here is hoping! (sorry snow lovers). Graphics come from the College of DuPage’s Nexlab. Kudos folks! Sounding at 12Z from the NAM Model showing nice snow making conditions. The motivation for starting this blog is to have a creative outlet for long form content. This was nucleated by a work trip to Utqiagvik (Barrow) Alaska on a project we are sub-contracting to the Concord Consortium on an NSF eduction grant called Precipitating Change. So what is so exciting about Barrow Alaska? For starters it is home to an ARM Research site, the Northernmost of its fixed network. Second it is the Northern-most city in the United States at 71.29 North, well above the Arctic circle. Yes, it will be dark the whole time we are there.. Well we will get some twilight. And this makes for some very interesting meteorology. In places where the sun comes up we are used to the normal daily dance of the ground heating up and an equilibrium developing between warm air at the surface and colder air above. There are eddys that form that transport heat that develop a change in temperature with height (~1 degree per 100 meters). But no sun = some very funky temperature profiles! This effectively decouples layers of the atmosphere from the surface allowing for great cloud structures as talked about by Dr Joseph Hardin at last years ERAD. More on the great weather (it’s actually looking ok for our trip with temperatures when we land around -19ºC) later. This trip is to observe 8th graders at the North Slop Borough Middle School interact with a curriculum we have been developing. The key to the curriculum: using the weather to teach computational thinking. Students observe weather phenomena, specifically large-scale circulations (Highs, Lows, Fronts), how they move and build forecasting rules of thumb. They reason out what should happen next at their location: Should it get warmer? Colder? Wetter? Dryer? Our plucky team (part of the larger project) is led by Meridith Bruozas from Educational Programs and Outreach at Argonne National Lab. I am not an education expert.. but I do ok at outreach. So this is new territory for me, both professionally and geographically. I am uncomfortable and I could not be happier!